Daily Telegraph 29.08.14 – Tom Scully and his Mum love our Esky! 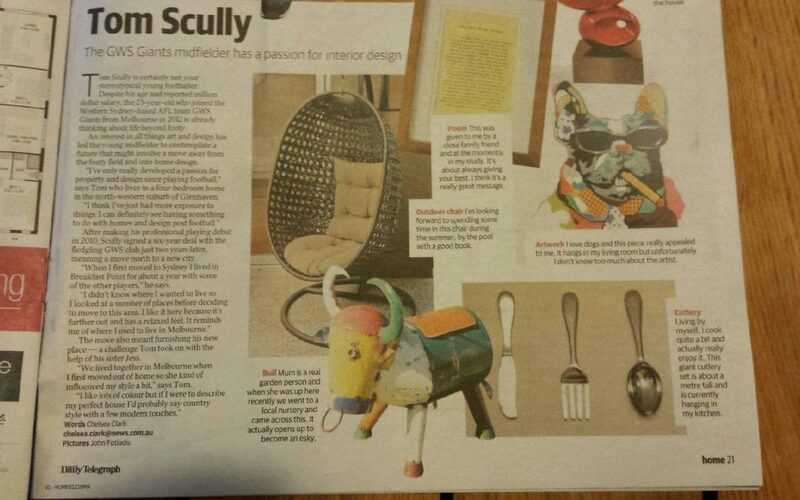 Our Bruce the Bull Esky was featured in Friday’s Daily Telegraph, not only this but the mention originated from Mr Tom Scully, GWS Giants! Upon glancing at a closer angle, the media states that Tom has a ‘passion for interior design’, showing a picture of the Bruce the Bull esky from our Ee-i-ee-i-o Farmyard Range! We love the fact that Tom (and his Mum) came across our Bull in their local Nursery and are absolutely ecstatic that he mentioned us! Thanks Tom and the Telegraph!